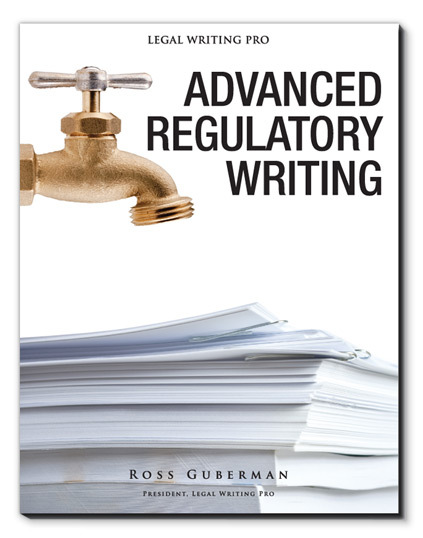 In this interactive workshop for regulatory attorneys, we discuss drafting techniques and strategies drawn from the nation’s greatest legal writers, with a special focus on regulatory filings. Attorneys learn new ways to trim their prose, fine-tune their structure, and find a more natural voice for conveying dense, complex information. We then apply those strategies to actual filings. We also discuss how to write about the law to clients. If you’d like to learn more about our Advanced Regulatory Writing program, please fill out the contact form below.